Join us for our 6:00 PM (later time this year!) Candlelight Christmas Eve Worship Service! This annual Greater Cape May tradition will energize your spirit and transform your life! 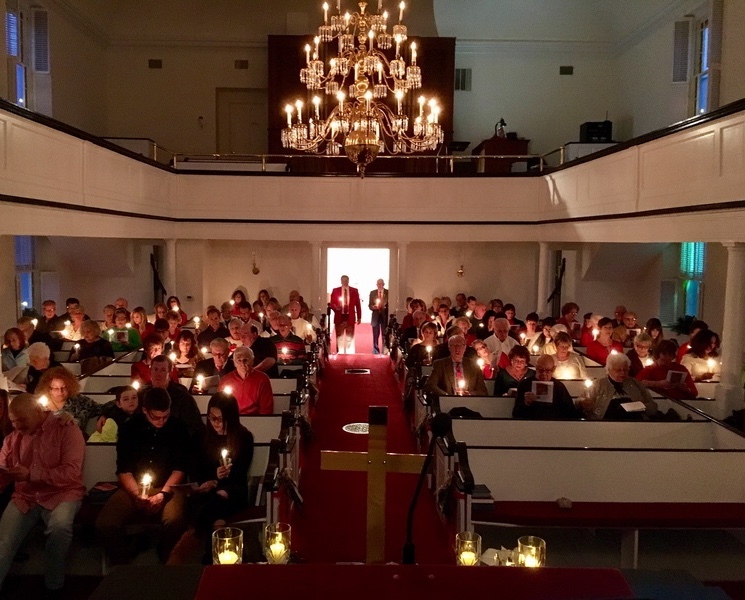 We offer many Christmas events for entire family that begins on the First Sunday of Advent, all held in our beautiful, historic, red brick church Worship Center. If you need transportation to any of our services or events and dinners, please call the office, or email hello@coldspringchurch.com, and someone from our Caring Team we will make arrangements with you. 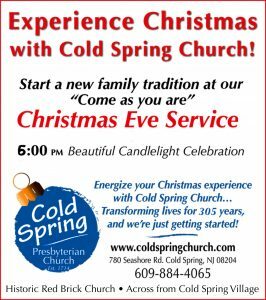 Make Christmas connections at Cold Spring Church! Experience a joyful holiday celebration singing your favorite Christmas music, the lighting of the Advent Candle, and listen to readings from Scripture and an inspirational message about how our live’s can be more energized and purposeful through fresh expressions of the familiar Christmas Story. Sunday morning worship begins at 10:30 a.m.